Our aim is to make your business successful with our strategic partnership. We believe that a true partnership is working hand in hand with a clear focus with active participation and combined efforts will fosters mutual long lasting successful relationship. Accordingly, we have set our standard to be reliable, solution-driven, fair and professional in all that we do. To build better business solutions. To bring better business performance to your end customer. Like all partnerships the benefits should be mutual and successful. To make sure we met these basic criteria, we emphasize our willingness to work together and build a successful business we offer different perks for our partners whose business turns successful. We support our partners in three main areas: Marketing & presales, business development and delivery. Marketing & presales: We provide basic marketing tools and sales knowledge so they can offer and sell the right solution to their customers. Business development: We offer the necessary flexibility and continuity with licensing as well as in planning, generating and developing customer relationships. Delivery: Our trainings educate your staff to deliver highly-qualified customer service and seamlessly implement projects as certified experts. To support our Business Partner Program, we have a team of channel managers who hand hold you in through the introduction and learning phase of our partnership. 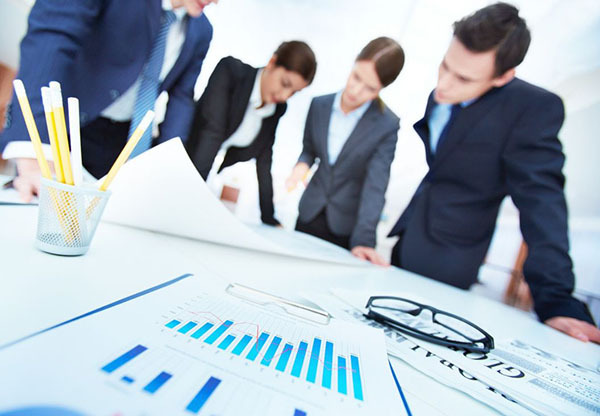 The manager help you plan regional business with our solutions and regularly monitor goal achievement rates. These channel managers support their partners in deploying targeted presales or consulting resources in the sales or implementation phases of projects. You could contact our channel sales managers if you have any questions and tell them about your current projects. This ensures that you stay in close contact with us and receive optimal support in implementing your business targets. As a Starcom partner, you have many advantages. During the first year of our partnership, you will receive regular updates for products and documentation, marketing material, organized sales workshops, training discounts for partner employees, and many other services. In return, you are obliged to meet specific requirements with regards to training, marketing and communication. Your ROI: High-quality products, market visibility, transparent business planning and your own certified specialists. That is what we call a win-win situation! The Starcom Partner Program has clear and specific requirements for each partner category. In the age where data is king and growing customer demands, it is needed that one is able to deliver solutions in the fastest turnaround time. In such a situation, the most effective way to offer technology solutions is by having state-of-the-art Enterprise Analytics or Data Quality solutions within any application through an OEM partnership. Starcom offers an ideal business partnership for you and your customers. The OEM Partner Program from Starcom provides the technical, business and sales flexibility you need to successfully react to the current and future requirements in your market – and even set trends yourself. Our open, agile product architecture supports many different source systems and databases and easily scales to support changing technical requirements as well as new business applications. That makes our products ideal for companies that want to extend their own software, product or solution portfolio with Enterprise Analytics and Data Quality components. As an OEM Partner, you may also use your own branding if desired. If you are a already a entry level Network Partner or a mid-level establish company with a powerful network in related industries. If your company already has good access to customers and markets. If you have excellent IT and system knowledge as a consultancy or service provider, you can use Starcom to extend your own service portfolio. We will hand hold you in the formative stages by training your team, providing you marketing support and approaching your customers together as a team. You will profit from the cooperation with our experts and receive forwarded contacts in your region. If you want to cover the entire sales process from managing customer acquisitions to delivering consulting and implementation services for projects, you may register to become a Premium Partner. You simply need one or more employees who will undergo training to become a Certified Professional. This training provides comprehensive product knowledge, the necessary modeling competency, and hands-on experience in working with our technologies. Do you want to use your consulting competency and implementation knowledge to successfully manage Enterprise Analytics and Data Quality projects from start to finish? Then register as an Implementation Partner to deploy projects together with Starcom.